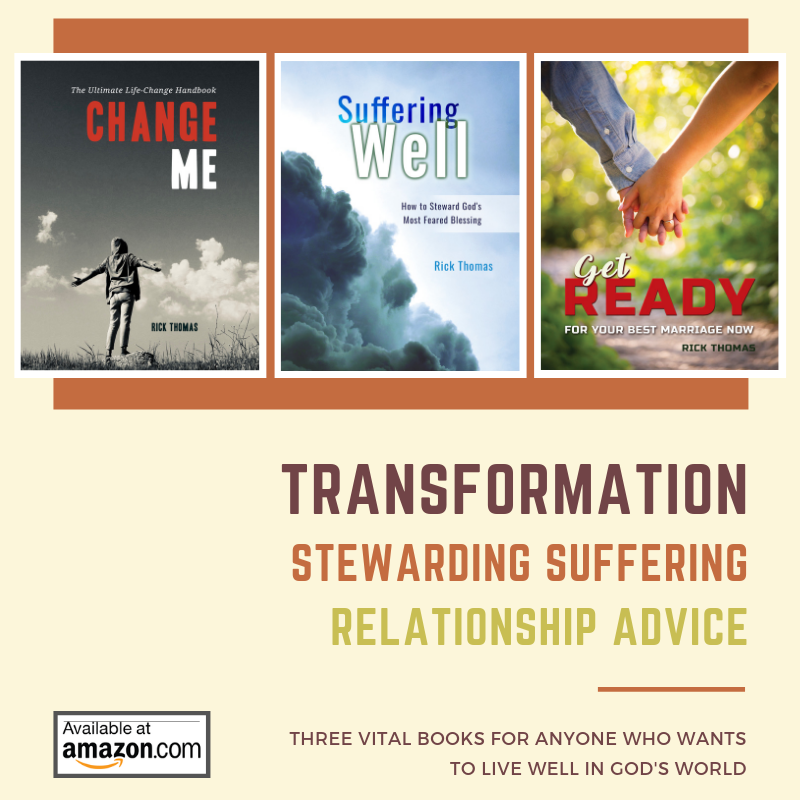 Your Christian friend is struggling and seemingly cannot change. Something has caught them (Galatian 6:1-2). Do you believe your friend can change? Perhaps that person is your spouse, child, parent, or church member. How Do You Help a Person Get Right with God? Your answer to my question will reveal your view of the doctrine of sanctification, mainly how you view the process of change in a believer’s life. Do you have the God-centered confidence that the erring brother or sister that you hope will change can change? Do you believe that God can transform this person? Do you have faith in the process of change for this individual? There is only one right answer to my questions. It is a definite yes! There cannot be any other answer. And you must believe the answer is yes if you’re going to think rightly about the process of change in a believer’s life. I’m not saying that person will change. This concept about transformation is not for the unchanging person but for those who associate with the individual caught in sin. I’m speaking directly to you about the non-transforming person. Christians Do Change: The operative word from the title of this article is “believer.” We’re talking about an erring brother or sister. The unchanging individual is a Christian, as subjective as it is to discern such a thing. God has faith in the process of change in a Christian’s life. You know that the Lord will complete the process that He started at the point of salvation. Look at Paul’s “faith for the process” of change in the rowdy Corinthian Christians. They were sinning their brains out. Many folks in that church body were dysfunctional. Sin was around every corner, and many of them were going headstrong into their licentious lusts. It was an awful church context with many erring brothers and sisters, but before Paul brought his corrective care to this erring bunch of believers, he said the following. I give thanks to my God always for you because of the grace of God that was given you in Christ Jesus, that in every way you were enriched in him in all speech and all knowledge—even as the testimony about Christ was confirmed among you—so that you are not lacking in any spiritual gift, as you wait for the revealing of our Lord Jesus Christ, who will sustain you to the end, guiltless in the day of our Lord Jesus Christ. Do you feel Paul’s faith “for the process of change” in these erring brothers and sisters? Paul not only loved them, but he had faith in God for them. You can sense his affection, care, love, and confidence that God was going to do good things for them. Examine Paul’s attitude from what he said to the Corinthians and compare his “faith for change” with your heart, as you think about the unchanging person in your life. Here are Paul’s words again. I give thanks to my God always for you. I know the grace that God gave to you. The Lord has enriched you. There is a confirmation of the testimony about Christ among you. You do not lack in any spiritual gift. The Lord Jesus Christ will sustain you. You will be guiltless in the day of our Lord Jesus Christ. God is faithful because He has called you. Are You Patient with Unchanging People? I’m not suggesting your struggling friend will change today, or within your preferred timeline. It may be decades before he (or she) experiences all that the Lord has for him entirely. But the question that I’m asking now is not about his inevitable change. I’m asking if you believe in the faithfulness of God to finish what He starts, no matter how slow that process may be. Do your friends, whom you bring corrective care to, know that you have Paul’s attitude for them? Are they more aware of your impatient correction or the faith that you have for them, knowing that God will finish what He starts? What do they sense more from you: a belief that they will never change or your God-centered awareness that the Lord will bring transformation at some point in the future? I am not centering my questions on what might happen or what you hope will happen to them, but I’m speaking exclusively about the condition of your heart as you think about an unchanging Christian.